The Warren City Council Traffic & Safety Committee has not been the most exciting story in town since I started following local politics. But freshman council member Mark Forte (D-4) seems to take his role as committee chairman seriously and some real issues have not only been discussed, but even resolved under his watch. Six weeks or so ago, a group of about 20 residents and business owners whose apartments or workspaces abut Dave Grohl Alley, petitioned the city to close a portion the alley to vehicular traffic. They argued that the western end, near Main Street, is so narrow that it was too dangerous to allow cars and trucks. A hearing was held, and according to Safely Service Director Enzo Cantalamessa, he expects to have that section of the alley closed in approximately 30 days. For those of you wondering, “why not immediately?” there are legitimate reasons for why these things take some time. Another group of interested parties attended the T&S meeting this past Monday to discuss also closing the eastern end of the alley to permit its use for entertainment activities. The entrance to the recently opened Modern Methods Brewing Company rests under the covered portion of the alley, and the owner would love to be able to allow customers to sit outside in a patio-like atmosphere while enjoying a locally brew craft beverage. This led to a review of the legal issues by Law Director Greg Hicks. According to Hicks, it is possible for Warren to designate an “outdoor refreshment” district within the city limits. There are a host of legal and safety issues related to that, but essentially, if the Mayor requests it, and specifies the boundaries of the district, plus additional restrictions such as permitted hours, it can then become law if city council votes to approve it. Given the recent growth downtown and the general optimism for the future of downtown as an entertainment district, I think this idea is going to get more serious consideration. In the best of worlds it will still take months and months to enact. If you hate the idea there’s no need to worry now as there will be ample opportunities for public comments before any action is taken. One key requirement of state law is that an outdoor refreshment district must include at least four permit holders within the boundaries of the district. At the moment it is hard to draw lines like that without crossing Market Street. Mayor Franklin, who attended the meeting, specifically stated that crossing Market with an open container represents a significant safety issue in his mind. The T&S committee is also looking at downtown parking and use of the parking deck. Stay tuned. What is it with Trumbull County Engineer Randy Smith? When he isn’t picking fights with other County departments he getting sued by employees or constituents. The latest, as reported in the Tribune last week, is from local business people who are suing him and Trumbull County, for $1.3 million in Federal Court. The suit alleges that Smith withheld permits necessary for them to operate their trucking and logging business, in retaliation for having made a public records request about the permitting process. The refusal to issue the permits is “irrational” and unrelated to any “legitimate governmental purpose” and is an attempt to “punish and retaliate” against the couple for exercising their rights under Ohio’s public records laws. “Smith has been motivated by animus, hostility and ill will in refusing to issue the permit to Mr. Spithaler,” it states. 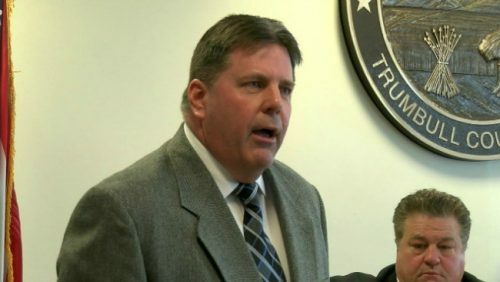 Mr. Smith, like anyone else, is innocent until proven guilty, but these allegations mirror the kind of juvenile and retaliatory actions exhibited by Smith last year when he refused to provide services to the Trumbull County Planning Commission, or to even speak to its director, when he felt they were not adequately acknowledging his exaltedness. You can read about that one here. If the Spithalers win their suit the $1.3 million is most likely going to be paid by the County and its taxpayers. Quite a price for having a vindictive baby in elective office. I’m still urging everyone to read “Our Towns” because it offers so many interesting examples, across such a wide spectrum, of how struggling small cities can, and have, revived themselves. If the topic interests you, but you have not been sufficiently motivated to go buy the book yet, let me offer a single example for free. Last week the New York Times published a piece called A Florida City Wants More Retirees, and Is Going After Them. 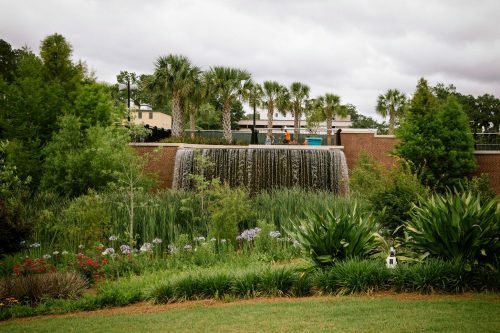 It’s a quick read and an excellent example of how having a clear goal, some creativity and a well executed plan, resulted in major results for Tallahassee, Florida (above), a city of about 191,000, which sought to catch up to neighboring cities in growth. Their budget was modest, but their ideas and execution were very good, and they got results quickly. It also worth noting that the goal was also modest. They wanted more retirees. There are plenty of people in Warren who will laugh at the idea of attracting retirees. Anything less than a 5,000 person factory isn’t worth their time or effort. And Warren should participate in the game of offering free land and tax rebates along with everyone else. We should compete for those opportunities when they present themselves and make economic sense. But opportunities like that are few and far between, and only caring about them is like a baseball team that only swings for the fences and turns its nose up at the idea of hitting doubles, or stealing bases. There’s a reason no baseball team employs this strategy. We need to be creative and look for niches where we can get those singles and doubles. String a few of those together and you have a run or two. Then I took a hard look at the downtown list and scratched off anything that was more than two years old, and the list still filled a two-column page, which you can read below. Economic development is a hard topic to get your arms around; it means different things to different people. But what this list says to me is that the growth in downtown is undeniable, and downtown is clearly the engine of economic growth for the entire city. This is not uncommon, as the authors of “Our Towns” found when visiting more than 50 smaller cities in researching their excellent book (see the two previous posts). Beautiful Whirld: in the Short Cut. Best Western Park Hotel: $1 million renovation. Amphitheater: additional seating and improved handicap accessibility. It’s been gratifying to have so many people comment to me in the past week that they intend to read “Our Towns” (see previous post). We couldn’t ask for a better blueprint for moving Warren forward, so the more people who read it — the better. I mentioned in my review that the list of “10-1/2 Signs of Civic Success” at the end of the book is worth the price of the book alone. 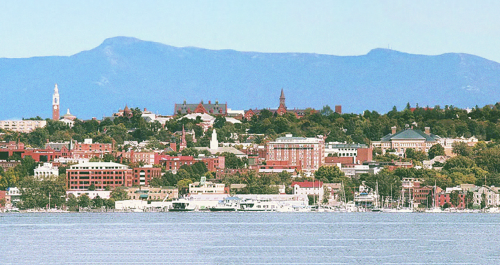 Copyright laws prevent me from just reproducing the list here, but one of them is: “They have downtowns,” which the authors say is “the quickest single marker of the condition of a town.” Greenville, SC and Burlington, VT (above) are held up as examples of downtowns that have done an especially good job of revival. The need for revival should not be seen as something to be ashamed of; most downtowns, including Warren’s, were built largely in the 19th Century and can’t be expected to to be perfectly adapted to life in the 21st Century. They require “attention, resources and creativity” to overcome the horrors perpetrated on so many downtowns in the name of “urban renewal” in the mid-20th Century. 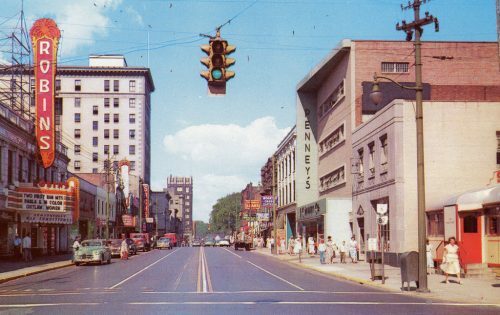 If you haven’t yet, take a look at “Places and Things Gone from Warren, Ohio” on Facebook for photographic and written examples of how urban renewal played out here; it was plastic surgery using a meant ax and we still suffer from the effects. But the signs of revival in downtown Warren are better than they’ve been in a very long time. There are new bars, restaurants and stores, and even new apartments and condos. I’ll provide a detailed list of what’s new in the next post.